The Ebola threat in West Africa has local veterinarians worried: the pandemic may affect critically endangered mountain gorilla populations in Rwanda and the Democratic Republic of Congo. With the death toll to humans at nearly 4,500, a local non-profit organization, Gorilla Doctors, is concerned the virus could infect the estimated 880 mountain gorillas remaining in the world. This isn't the first time an outbreak has jeopardized the species. Between 2002 and 2003, at least 5,000 gorillas died from the Ebola at a sanctuary in northwest Congo. Thousands of chimpanzees also fell victim to the disease, according to research outlined in a 2006 study. "It's so devastating," said Gorilla Doctors co-director Mike Cranfield. "Where people had gone in before and there was high numbers of great apes ... now they go in and it's completely silent. They can't find any." Experimental vaccines may soon be used to prevent further die-offs, but permission must first be granted by the governments of Rwanda and the DRC. 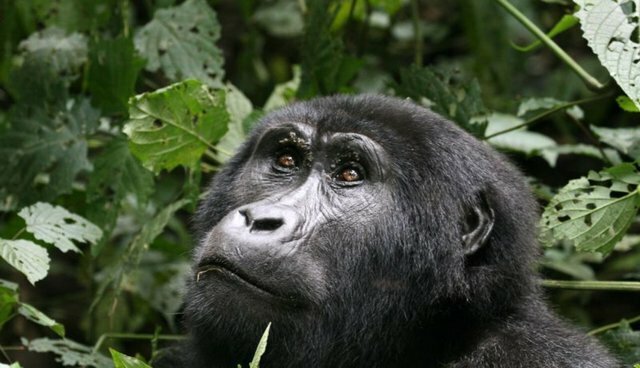 One particular vaccine developed in Canada, VSV-EBOV, has already offered successful results in monkeys, and is now undergoing the first wave of human trials in the U.S.
Ecotourism could be to blame for human illnesses spreading to the dwindling mountain gorilla population, as tourists eager to catch a glimpse of the wild animals are capable of transmitting diseases. As ecotours continue today, Gorilla Doctors is trying to make sure all humans within 20 meters of the apes wear protective masks and clothing.